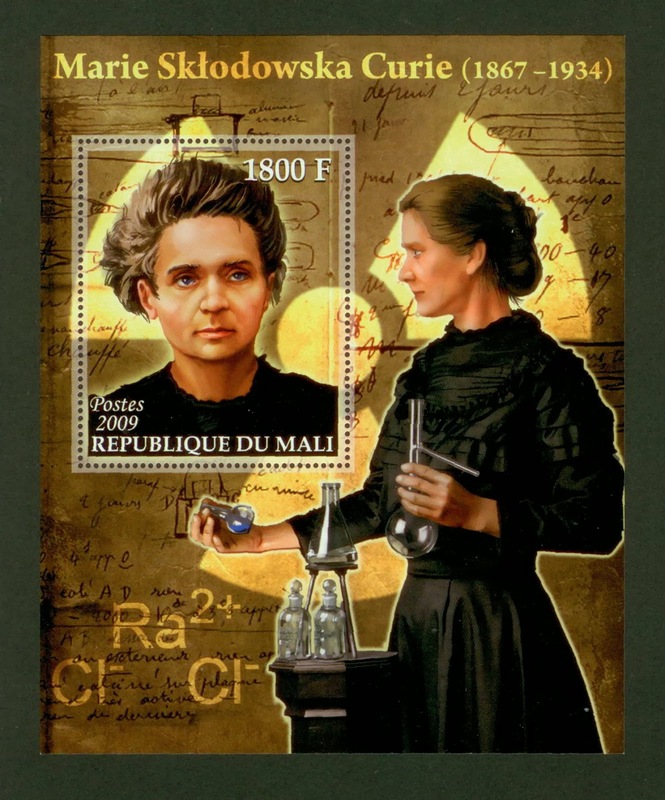 This photograph of Marie Curie can be found on postage stamps all over the world. 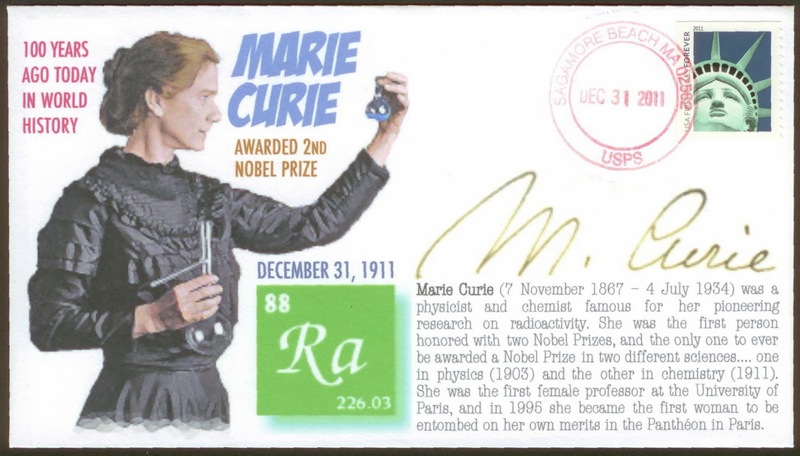 But there's one problem, this isn't a picture of Marie Curie. It's actually a photo of Susan Marie Frontczak, taken by Paul Schroder in 2001. 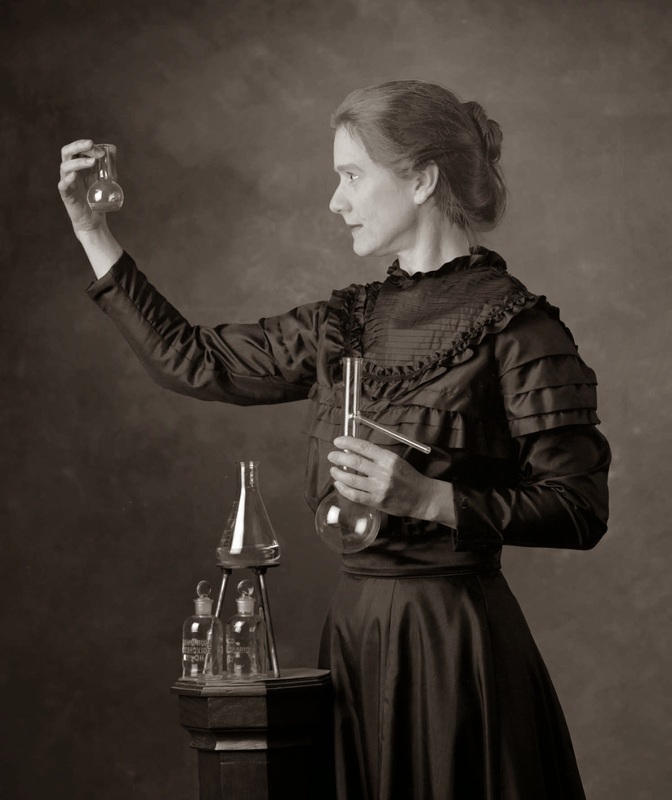 Frontczak is a professional storyteller, writer and actor who for 13 years has made a living portraying Marie Curie on stage. It's an authentic-looking photo. Frontczak and Schroder made a serious effort to reproduce the look of that era, getting her dress style, the background and the glassware just right. 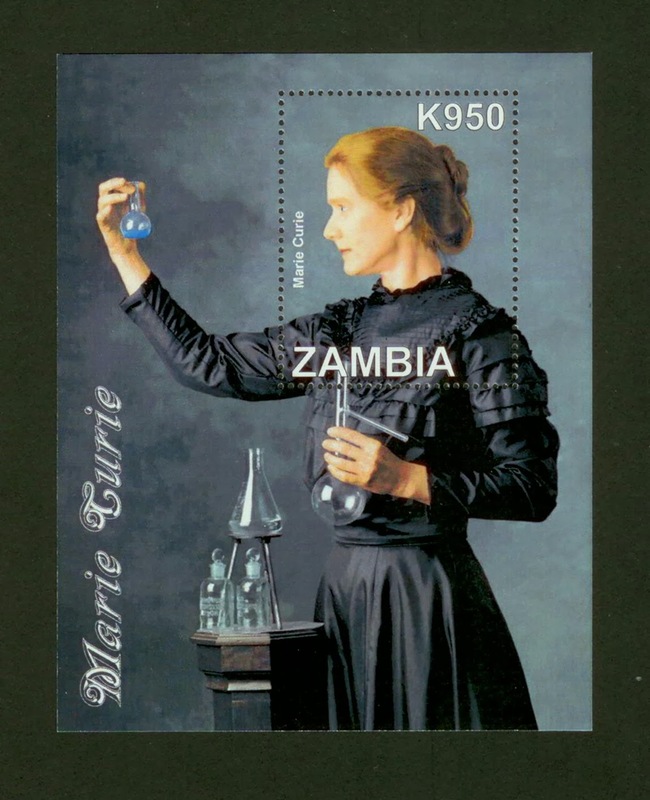 They modeled it after a famous photo of Curie taken in 1912. Frontczak's photo is so convincing, people around the world have mistaken it as an actual photo of Curie. 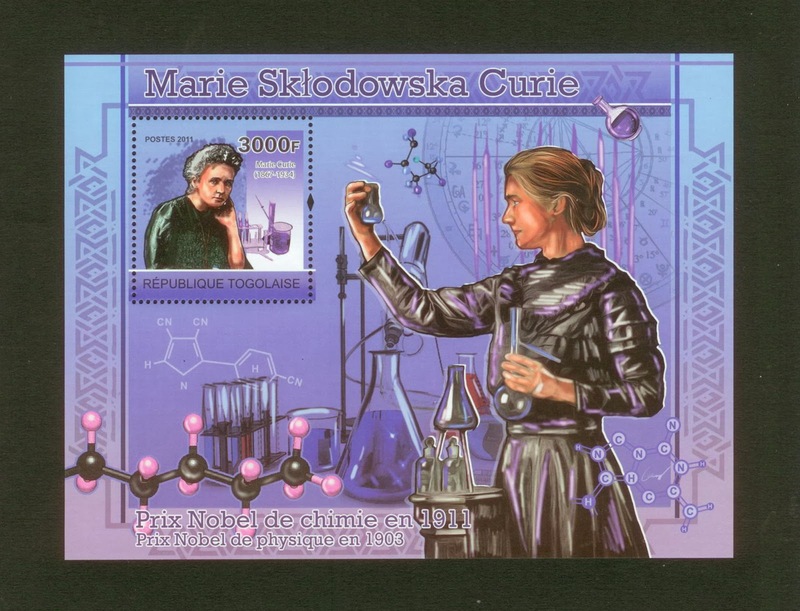 In 2011 there was an assortment of stamps honoring the 100th anniversary of her Nobel Prize in chemistry. 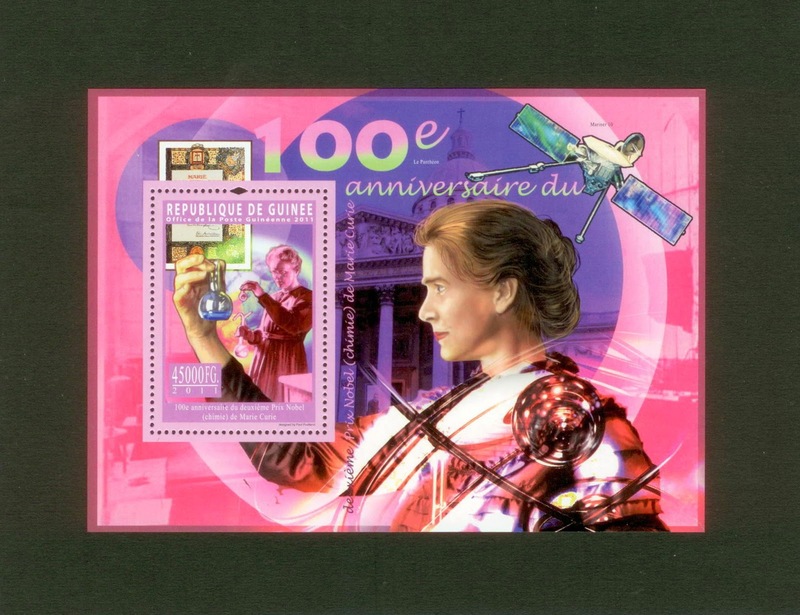 At least five countries used the image of Frontczak without her permission to honor Curie, thinking it was a photo of Curie herself. Countries like Zambia. The Republic of Togo got it wrong too. ... and the town of Sagamore Beach, Massachusetts. 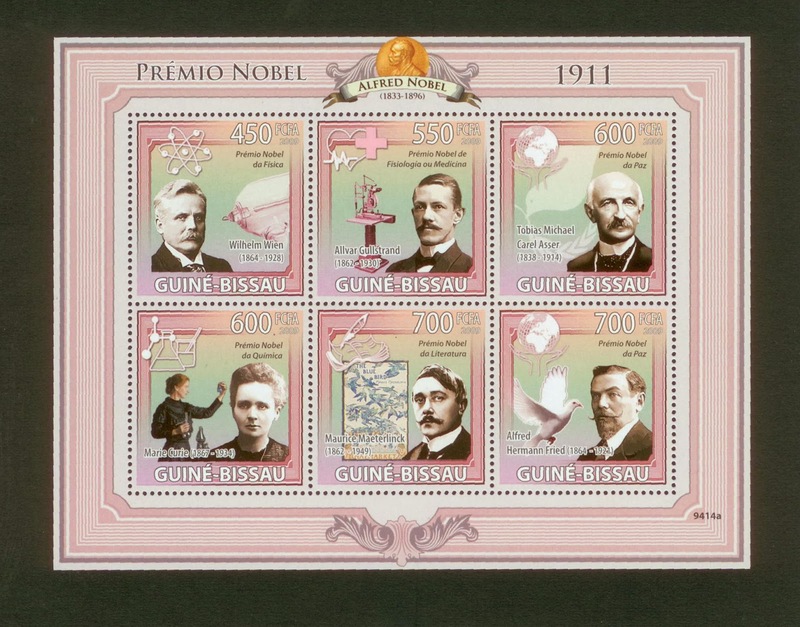 Collectible stamps like these can actually be a significant income for small countries. 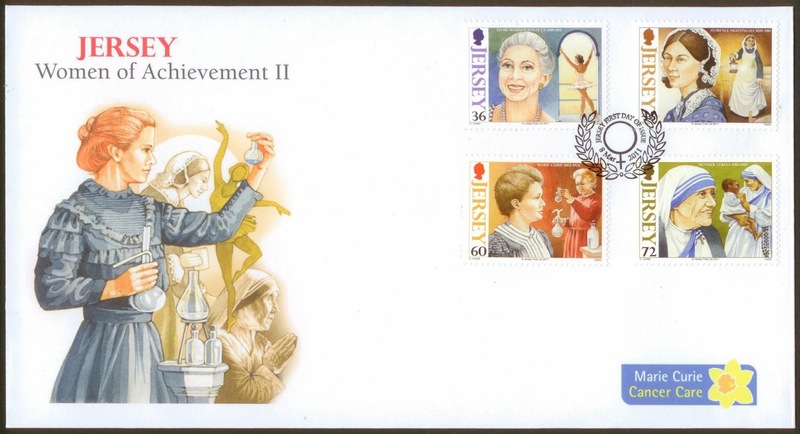 Often they'll issue stamps with the images of luminaries from other nations so international stamp collectors will buy them up. Frontczak has mixed feelings about the inadvertent honor. "I find it a compliment that it was similar enough that they were convinced," Frontczak said. 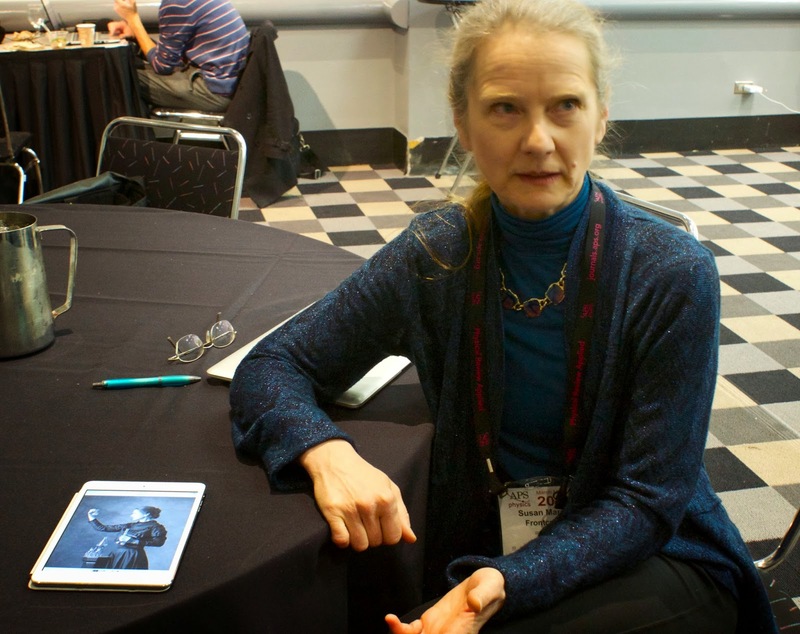 "There's some essence [of her] that got captured." Still, it is her likeness being used without her permission. 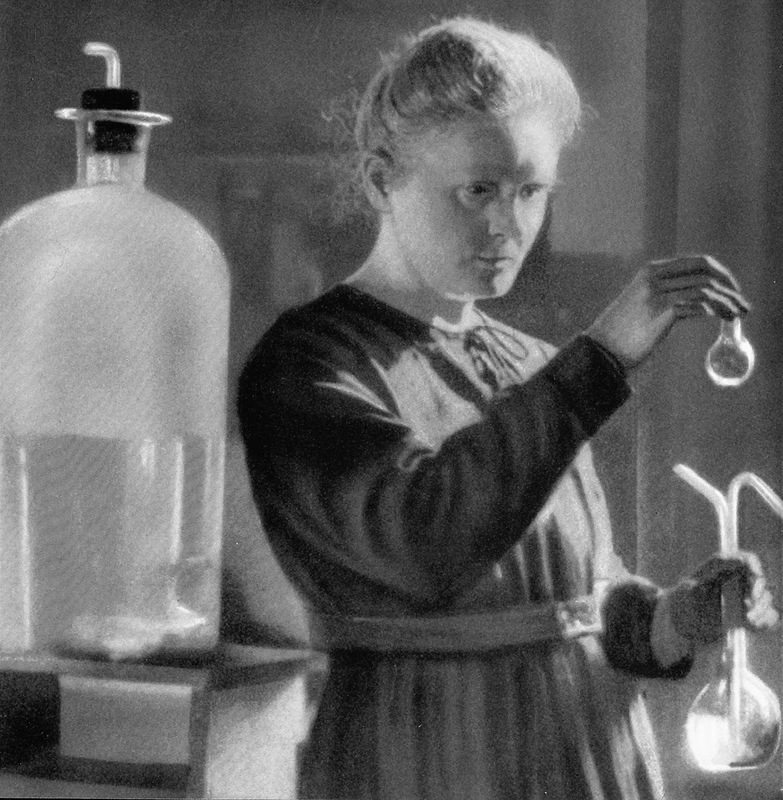 She's long wanted to turn her one woman show Manya: The Living History of Marie Curie into a film, and there's a chance this could help her raise some money for it. "I might contact these countries and say, 'Wouldn't you like to support the story of Marie Curie? Let's make this a cooperative venture,'" Frontczak said. The Sagamore Beach cover is actually a two-fer. The postage stamp of the Statue of Liberty is wrong as well--it's actually a picture of the Las Vegas copy of the Statue of Liberty in front of the New York, New York casino. I'm Paul Schroder, commenting as "anonymous" ....the photographer who created this image, and I'm surprised that it's gotten this much attention, as Susan Frontczak is the only one that published it for any purpose. As a side note, I am a MFA photo guy who was working in commercial photography at the time, and had studied old methods of lighting. I was also employed as a scanning tech at the Denver Public Library, where I was able to study authentic photographs and negatives from the 19th century. The backdrop seen was painted by me, and I provided the props except the dress and the glassware. I recall working on the set and lighting for about 2 days, and we (Susan and I) agreed to work on her poses until we were both happy with the result. I'm still amazed that my work found it's way to Africa and elsewhere, where it apparently fooled many people, even though that was never our intent. Can You Dig the RoboClam? Could Sugar Power Cell Phones Of The Future?